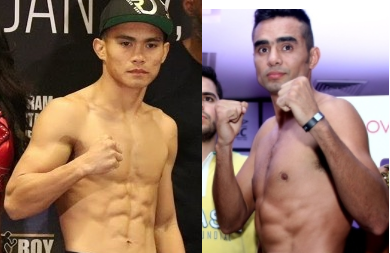 Filipino Golden Boy prospect Romero "Rutlhless Duno" is set to face the tough and experienced fighter Gilberto Gonzalez of Mexico on May 17, 2018 at Fantasy Springs Casino, Indio in California. 22 years old Duno with a record of (16W-1L, 14KO's) will be tested against tough Mexican, Duno a KO puncher is coming off a 1st round KO win against Yardley Armenta Cruz, Duno wants a title fight but before that he should beat Gonzalez and prove something in the ring. Gonzalez meanwhile, a 30 years old Mexican with a record of (26W-4L, 22KO's) he is a hard hitting and coming off a tough fight against Mercito Gesta but loses via unanimous decision, but before his Gesta's fight, Gonzalez won 8 fights in a row and 7 of those were by way of KO's. Filipino Rey Perez is also included in the card who will face the undefeated Oscar Duarte of Mexico.